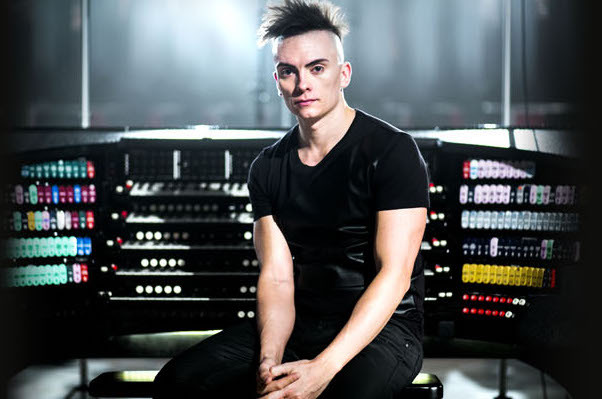 For the final show of its 2017-18 season, the UMass Fine Arts Center presents organist Cameron Carpenter featuring the International Touring Organ on Friday, April 27 at 8 pm in the Concert Hall. After the performance, audience members are invited to attend the Fine Art Center’s “Faces of the Fabulous” post-show event as part of ArtWeekMA (April 27-May 6). A virtuoso composer-performer unique among keyboardists, Carpenter’s approach to the organ is smashing the stereotypes of organists and organ music, all the while generating international acclaim and controversy unprecedented in his field. His repertoire – from the complete works of Bach to film scores, his original compositions and hundreds of arrangements – is perhaps the largest and most diverse of any organist.